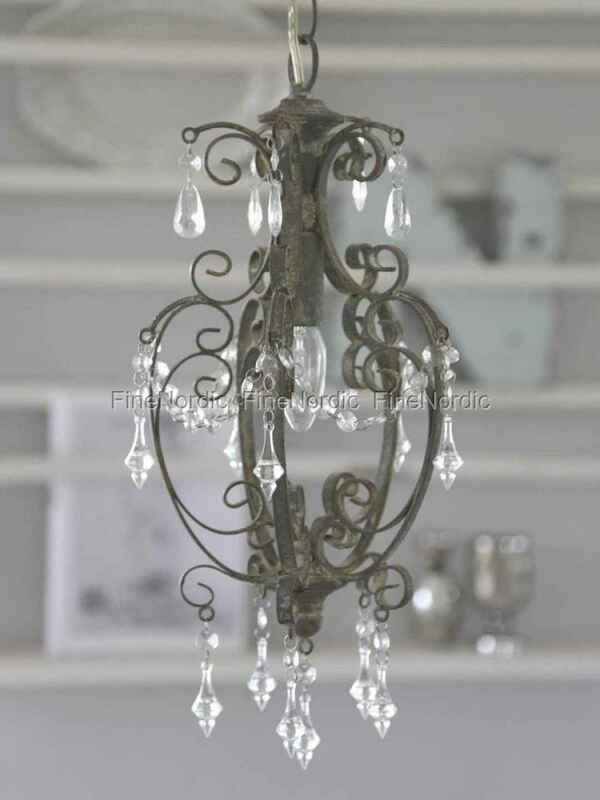 The small romantic Chandelier in Antique Grey by Chic Antique spreads French charm across the room. With its intentional irregularities, the patinated grey and the many small prisms, it is a Oh là là highlight no matter where it hangs. In the bedroom, in the living room or in the hallway, it creates a nostalgic ambience and the small prisms provide a pleasant light. An attractive home accessory is this chandelier in Antique Grey by Chic Antique.